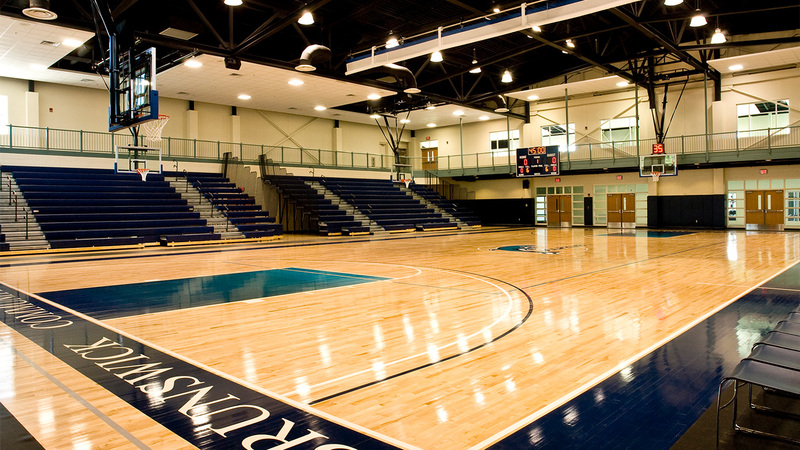 Design a community athletics center on the Brunswick Community College campus. 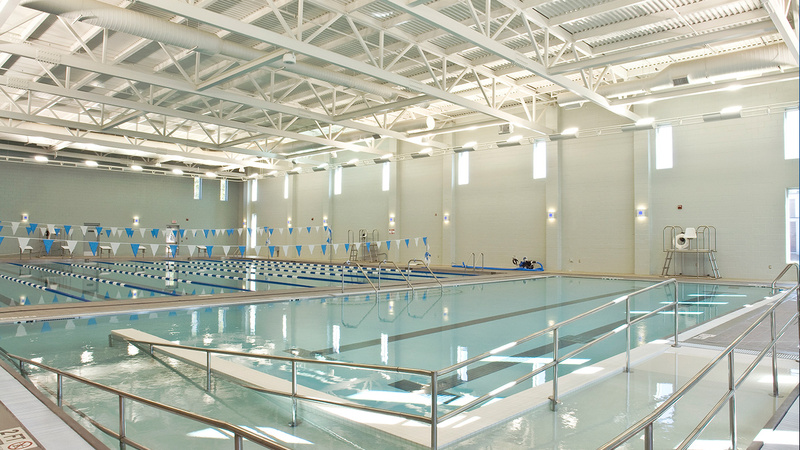 The facility provides the community with NCAA regulation basketball, volleyball, and swimming venues. 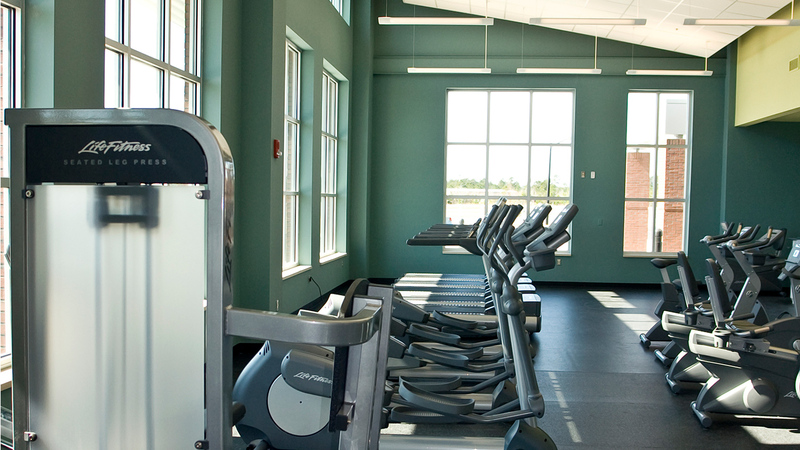 Health and fitness resources include a warm-water therapy pool, an aerobics studio with flexible wood flooring, cardio and strength training exercise studios, and a balcony-level walking/jogging track. 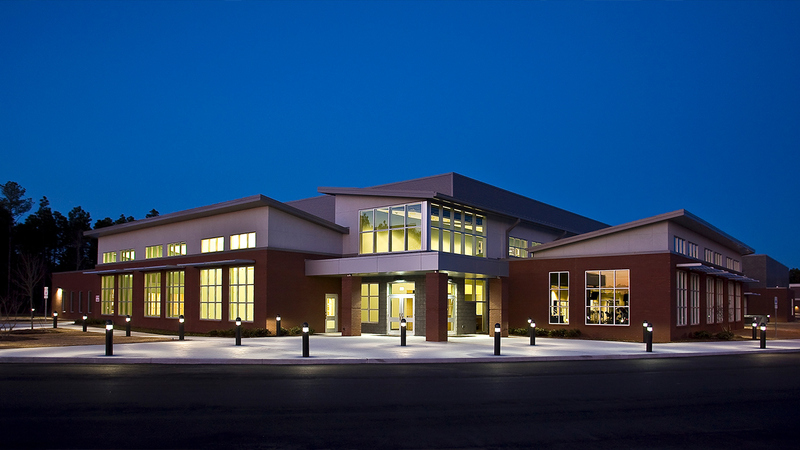 Our design team collaborated with Clark Patterson Lee, an architectural and engineering firm with past experience in this type of facility.